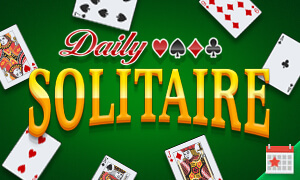 Daily Solitaire brings the popular Klondike version game of the solitaire card game to the palm of your hand. The goal of the game is to sort all the cards into four piles. You have to start each pile’s foundation with an ace and the pile has to be built in ascending order from aces up to kings. A card - or a group of cards - can be moved to one of the seven columns if the value of the topmost card is exactly one lower, and the color is different from the card it’s being moved on. Play Daily Solitaire now for free! Play wherever you want - whenever you want. Come back every day and try to complete all daily challenges to increase your chance to earn monthly rewards. 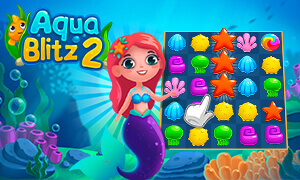 Play Aquablitz 2 game for free. Enjoy more than 700 splashy levels and you will learn all the tricks you need to know to solve even the most complicated puzzles.